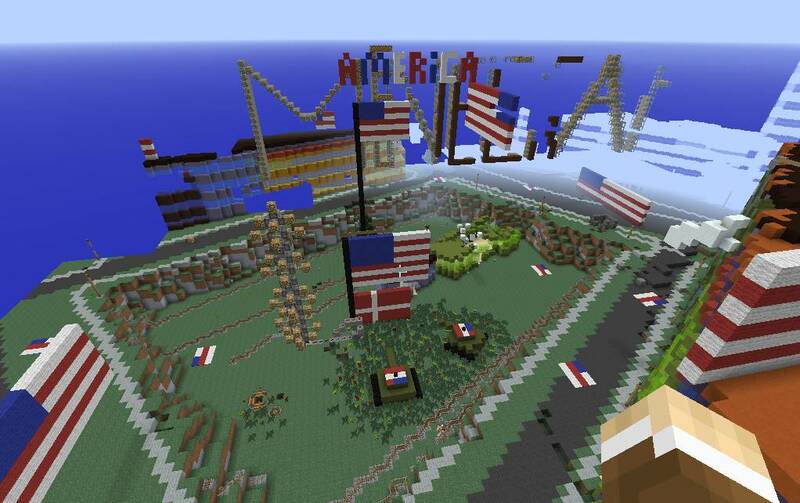 Updated Last week, the Danish government put a 1:1 scale replica of its country online at Minecraft and invited players to politely explore the land of Lego and Carlsberg. Gamers being what they are, you can guess what happened next. "Several large Danish towns have been leveled to the ground and a lot of new things have been built all over the place," Chris Hammeken, chief press officer at the Danish GeoData Agency, told state media outlet DR. "We don't have a complete overview yet, but we'll probably choose to reconstruct Copenhagen and the other cities." The agency built the Minecraft model to show off its mapping data and it was intended for such wholesome uses as teaching local schoolchildren about town planning and encouraging design skills. The country data is also available as a 1TB download, and extra servers have had to be brought online because the download is so popular. When the original map was posted, the government agency asked that users be polite and create something for everything they took apart. In addition, the use of in-game dynamite was banned on the map to avoid any trouble. However, cunning gamers soon found a way around that. They found that dynamite could be used if it was set off in a mining cart, and as a result they've been drastically remaking some areas of the tiny Scandinavian country. Screenshots posted on Reddit of what used to be downtown Copenhagen show that at least some of the vandals were American, judging from the numerous stars and stripes flags on display and "America" signs posted over what used to be the Danish capital's train station. A Danish GeoData Agency spokesman has told The Reg that initial reports of damage to the Danish map have been exaggerated. "Entire cities are not completely levelled to the ground. It’s only MINOR areas," said Chris Hammeken. "We consider that as a nature of playing Minecraft – elements are broken down and new are being created.Therefore we will not reboot the demonstration of Denmark in Minecraft. But occasionally we will rebuild minor areas if buildings are removed and nothing new is being created." Generally, the agency was very pleased that so many people have been trying out the replica of Denmark, he said, and the overwhelming reaction to the agency's creation has been positive. To date approximately 19.000 unique users have wandered over the Minecraft map and there have been over 200,000 map downloads. "We are very happy to see that so many players around the world is creating fancy nice things and have fun," Hammeken said.